MLS# 180064150 - 2508 Ocean Front, Del Mar, CA 92014 - Abacus Properties Inc. Courtesy of Barry Estates, Laura Barry. ON THE SAND! Original owners had this home built for their family with 5 full bedrooms and lots of parking for visitors & friends (over sized 2-car garage plus 3+ additional parking spaces). It is the perfect place to Escape and is located on one of the BEST blocks on the sand in Del Mar! Fresh, Modern feel – you can move right in or make easy up-grades and up-dates, which will add tremendous Value! So difficult to get this much space and bedrooms on the sand, truly a RARE FIND & priced to sell! 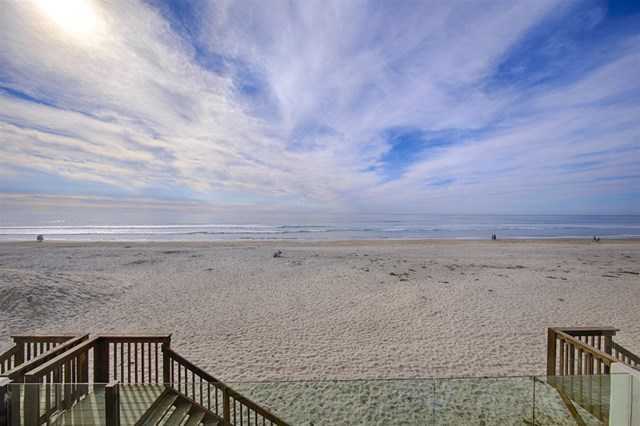 Please, send me more information on this property: MLS# 180064150 – $12,995,000 – 2508 Ocean Front, Del Mar, CA 92014. I would like to schedule a private showing for this property: MLS# 180064150 – $12,995,000 – 2508 Ocean Front, Del Mar, CA 92014.